Predictions of the death of vinyl after the advent of the compact disc were greatly exaggerated, and the wheel has gone full circle for a lot of people who want more of a connection with their music. A connection that digital playback – from discs, files or streaming – sometimes fails to provide. This guide is for those who fancy dipping their toes – or more – into the world of vinyl but don’t know where to start. For those returning to vinyl after a long gap it may serve as a refresher . . .
Buying a turntable (or record deck) just got very confusing. In the rush to take your cash manufacturers and retailers forgot to explain how it all works - I mean, you don't want all that techno-jargon do you? You just want to buy and go! OK, but unless you understand the basics you might just find it doesn't work when you get it home - or at least, not as you'd like! 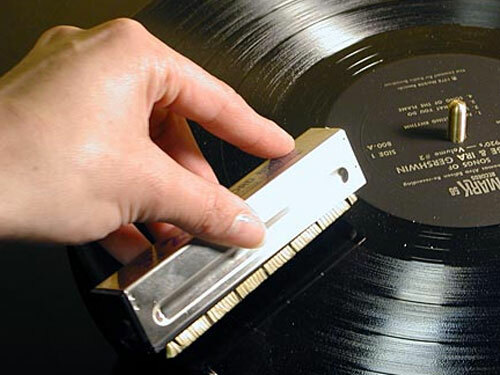 A turntable has a seemingly simple task – spin the record at the right speed, and allow the stylus to track the groove in the right way by having the cartridge swing across the record in the right place while applying the right amount of pressure on the stylus. If you want the best results you need the first item - direct cartridge output. All the rest limit performance! Line-out turntables limit you to the performance of the built-in phono stage. USB turntables need a computer and this type usually has lower quality components. A retro record player is great if you don't want quality, and portability is a must. OK, USB decks let you "rip" your vinyl to digital files... usually very badly, because the low cost limits the quality of both vinyl playback and digital conversion. So having decided on a direct cartridge output turntable which one do you buy? 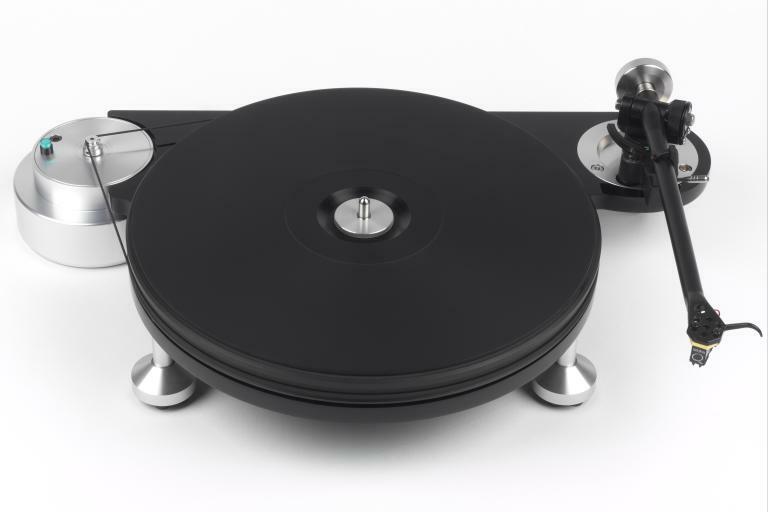 Michell Tecnodec - their entry level, belt-drive turntable with high quality oil-pumping inverted bearing and stand-alone DC motor. Around £900 with tonearm. Rega/Music Hall/Pro-ject/Clearaudio: basic decks are often a nicely finished piece of MDF, a motor, a belt-driven rotating a platter (usually made of glass or perspex) and a tonearm. These are often not fitted with a cartridge. Prices from around £250. 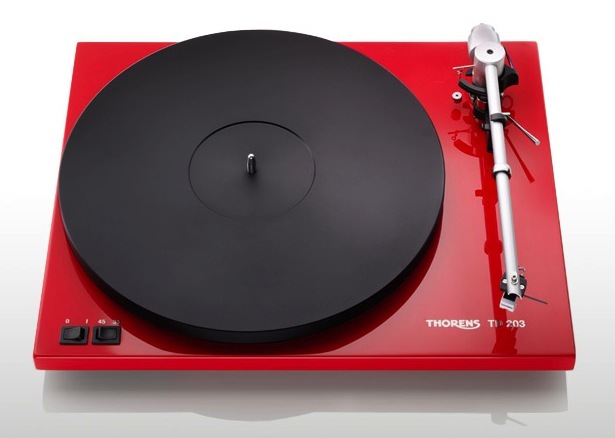 Technics unfortunately discontinued the SL1200/1210 MkII which were ideal and very well built. Many are still available used, but buyer beware - watch out for heavily used DJ decks (which are often sold in pairs). Secondhand prices are from around £250. The SL1200 series has a number of possible upgrade paths – from bearings and power supplies to tonearms. Pioneer: the new PLX-1000 may develop into a classic like the warmer sounding Technics. Price £600. Of course this is by no means an exhaustive list. It’s just meant to give you an idea of what’s available. You can easily pay a lot more, and prices quickly shoot up (to those of a luxury car, or more). There are two basic types of pickup cartridge – Moving Magnet and Moving Coil. All lower priced cartridges are Moving Magnet types. 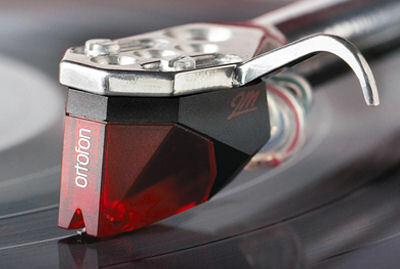 Good examples of moving magnet cartridges are Ortofon 2M Red; Nagaoka MP110; Goldring 2100 - these cartridges fall into the £80 - £130 bracket and will deliver a fine sound. As they’re moving magnets, replacement styli are available. 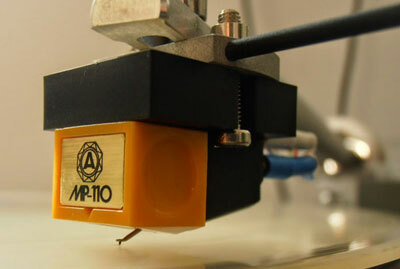 Cartridges need to be accurately aligned in the headshell of the tonearm. If buying both turntable and cartridge from a dealer ask them to do this for you. But it’s not hard – just a bit fiddly. You use a protractor that fits over the platter spindle with markings on it that you align the cartridge to. There are YouTube videos showing how to do this, and our forum members are always on hand to give useful advice. Nowadays few amps have an input for a direct cartridge output turntable, so you need a box of electronics to go between the turntable and the amplifier. This is the Phono Stage, sometimes called a Phono Preamp, or a Phono Amp, or RIAA Stage, amp, preamp - so confusing! 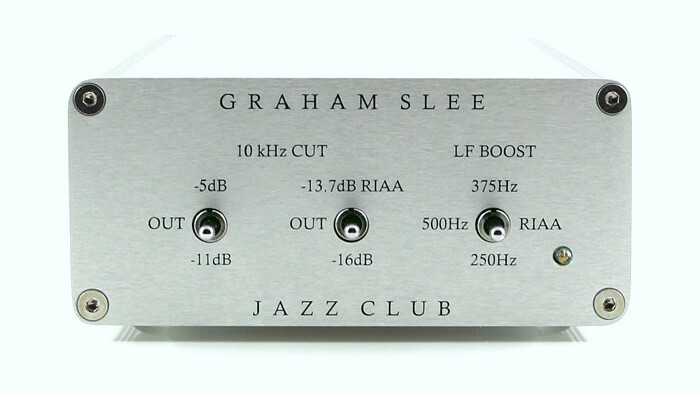 We refer to them to them as phono preamps or phono stages. 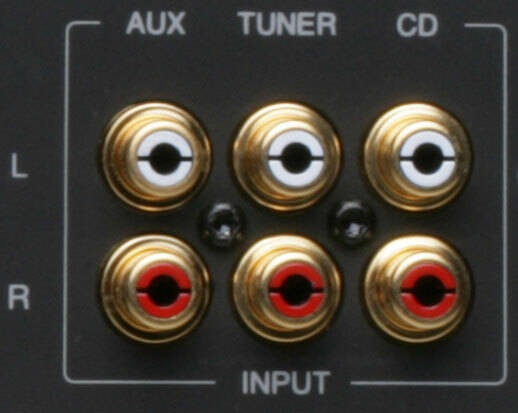 The phono stage takes the direct cartridge output, which is quite weedy, and tinny sounding (that's what you'll find by plugging your turntable directly into an amplifier's line input) and gives it lots of "gain" whilst making the sound full-bodied so the bass, mid and treble are the correct loudness (they sound good too!). Some of our phono stages suitable for the cartridges listed above (and many, many others) are listed below. 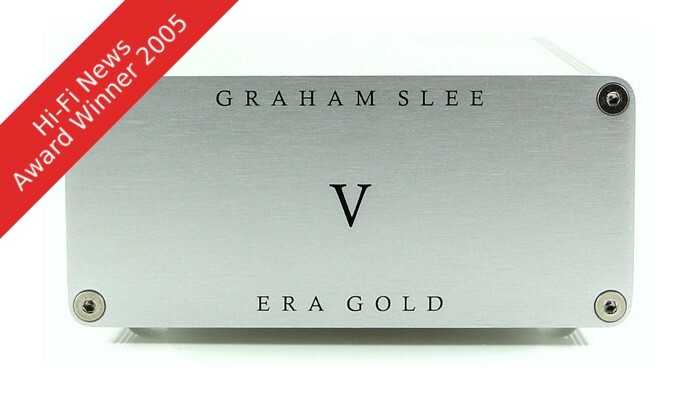 The Era Gold V was described by one fanatical vinyl reviewer as miraculous.It's available at two price points because of the choice of outboard power supplies. Price with PSU1 £585; with "green" switched mode power supply £430. 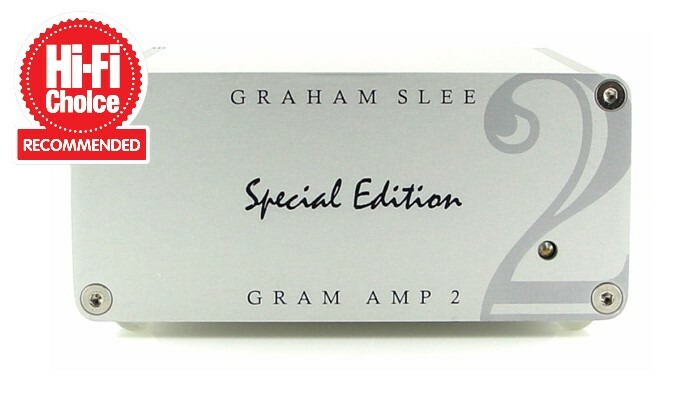 This is the higher output of the two legendary "Gram Amps". Price £260. 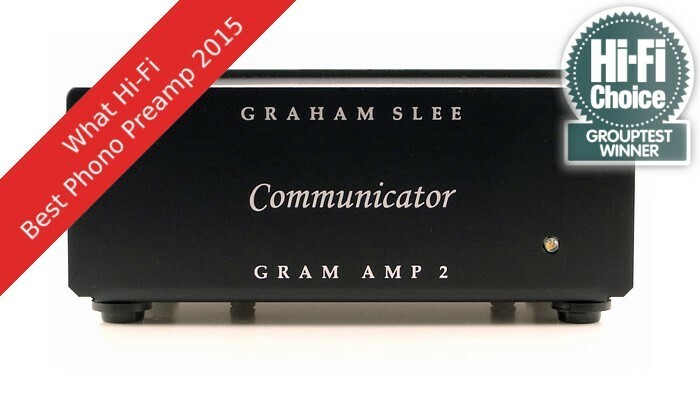 With it's stripped down looks and lower output the Gram Amp 2 Communicator was designed for DJ mixers, but is also ideal for sensitive integrated amps, and digitising your cherished vinyl records. Price £180. No.1 - this is the earth lead from the turntable, connected to the GROUND terminal. No.2 - this is the power supply lead. Nos.3 and 4 - these are the left and right signal cables from the turntable. They plug into the INPUT sockets on the phono stage. Nos.5 and 6 - these are the left and right cables coming from the OUTPUT sockets on the phono stage. The output from the phono stage should use a good interconnect such as the CuSat50, and should go to an appropriate INPUT on your amplifier. Suitable inputs will typically be those marked AUX, TUNER or CD. Sometimes they are identified as "line input no.1" etc. 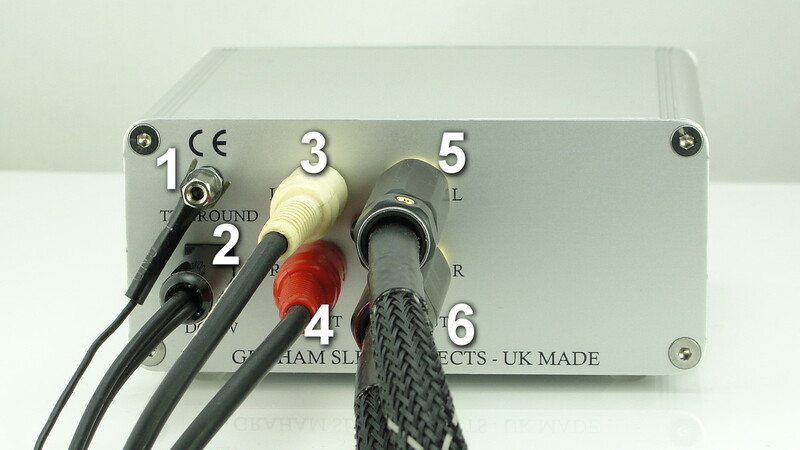 If you have an input on your amplifier marked PHONO you don't actually need a separate phono stage: your turntable can plug directly into your amplifier in this case (not forgetting the earth cable). However, a separate phono stage will give you better quality sound from your vinyl records. Keep your records dust free! Having got your turntable connected up (and on a firm, level surface!) it’s time to play your records! But make sure they’re as clean as possible, and that the stylus is kept clean. Dirt and dust are the enemy of vinyl playback, but all vinyl enthusiasts have a little cleaning ritual for this – after a while it becomes second nature. When brushing a stylus always go from back to front – the direction of the record's rotation – to avoid snapping the cantilever. A stylus brush (often supplied with a cartridge), and a carbon-fibre brush for your records are the minimum equipment you need for cleaning. You’ll soon find you start to appreciate whole albums again after flitting between tracks and artists – which digital, and file-based playback especially, makes so easy. And as for LP covers – you’ll wonder why you ever put up with those little CD booklets! But the sound’s the thing – vinyl playback should just get your toes tapping and put a big smile on your face! The Small Print - HiFi System Components has no connection, financial or otherwise, with the other companies whose products feature on this page. The mention of a third-party product is not an endorsement. Their inclusion is solely to give prospective buyers an idea of what is currently available at the price points mentioned.